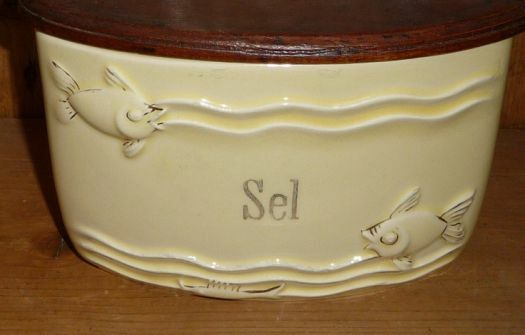 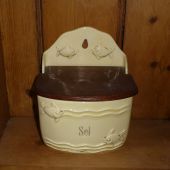 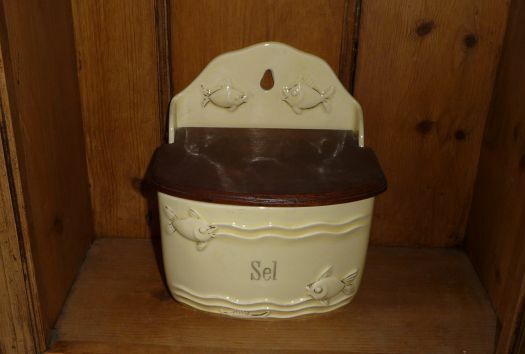 Uncommon salt box with raising fishes. 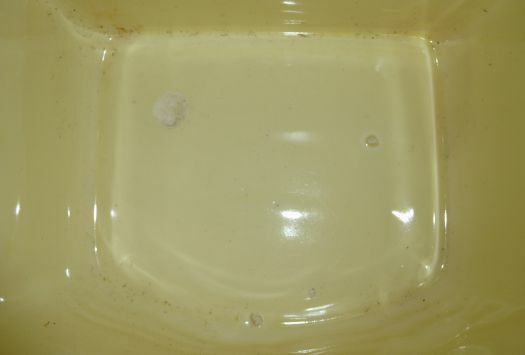 There are some small lacks of ceramic inside, because of salt. 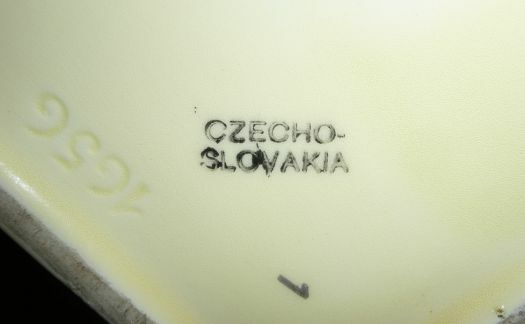 15,4 cm x 12 cm ; height 17 cm.